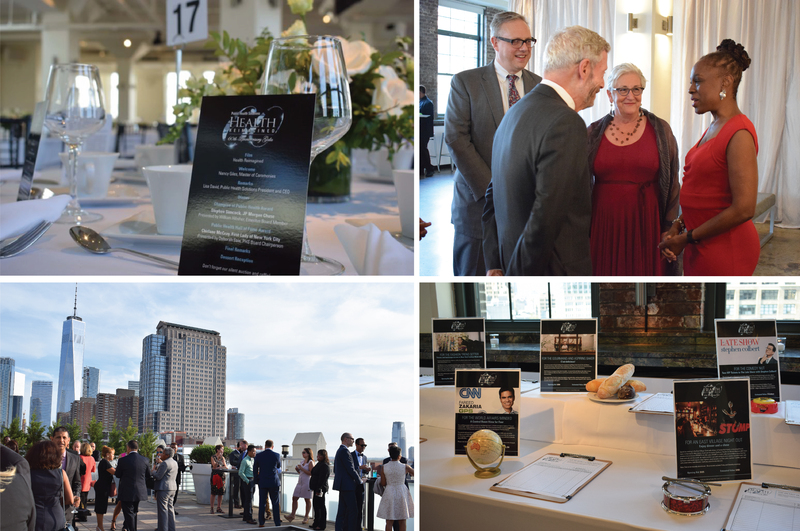 Join us for an evening of cocktails, dinner and conversation on June 18 at 6:00pm on Tribeca Rooftop for the 2019 Health Reimagined Gala where we will recognize champions in public health. To learn about sponsorship opportunities, or more information about the event, please contact Jessica Ecker at (646) 619-6642 or jecker@healthsolutions.org. At the 2018 Health Reimagined 60th Anniversary Gala, First Lady of New York City, Chirlane McCray, was inducted into PHS' Public Health Hall of Fame, and Stephen Simcockwas honored as the 2018 Champion of Public Health.